Poet Nacima Qorane was found guilty of bringing the state into contempt for backing Somaliland’s reunification with Somalia. Pressure groups in Somaliland said Ms Qorane’s basic human rights have been violated. 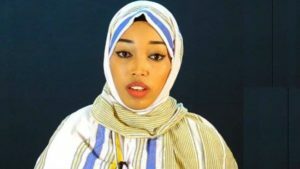 The prosecution said that she had labelled the self-declared republic of Somaliland a “region” and “insulted and defamed” its government.